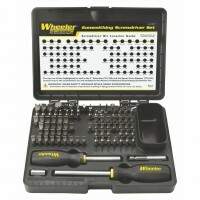 The Wheeler Engineering Precision Micro Screwdriver Set comes with 54 bits for all your precision needs and a flexible extension shaft for those hard to reach places. 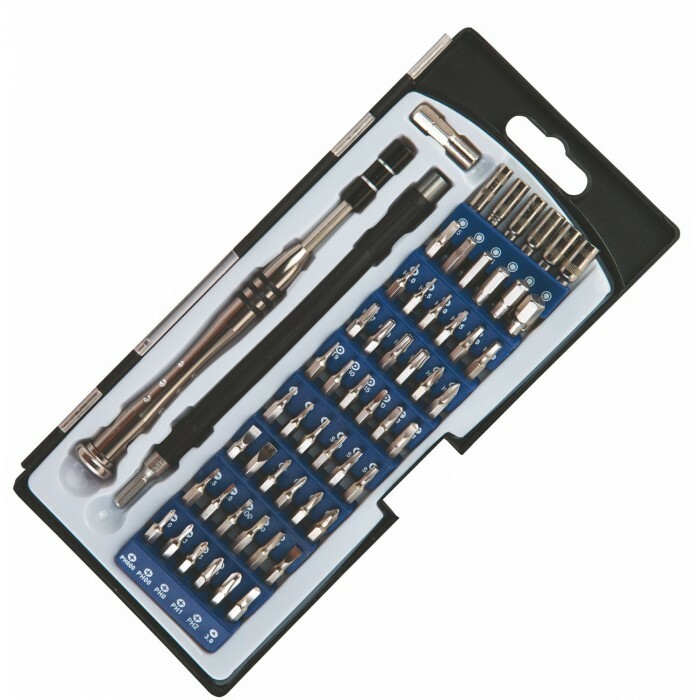 And packaged in an organized case. 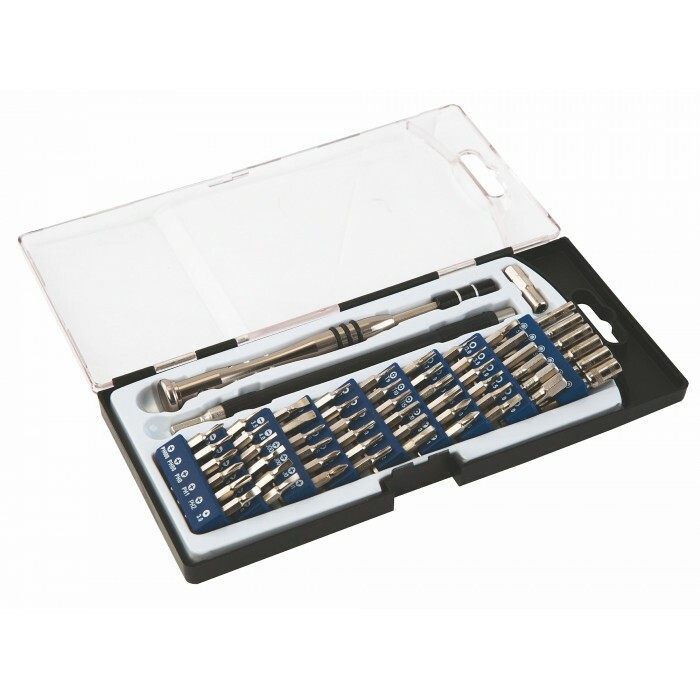 The Wheeler Engineering Precision Micro Screwdriver Set features high quality, chrome plated steel bits to hold up to heavy use and the comprehensive 58 piece set meet all of your precision screwdriver needs. 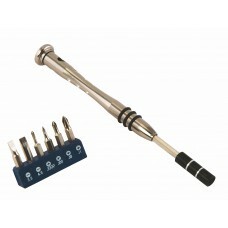 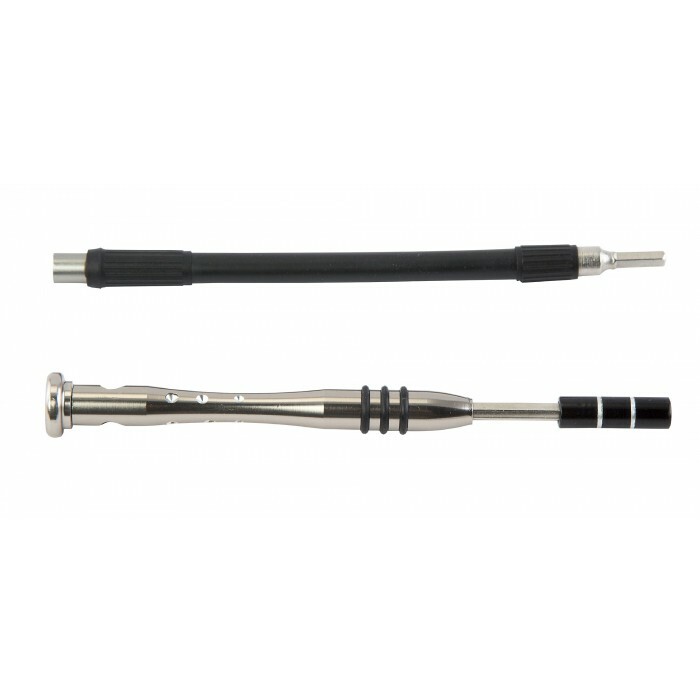 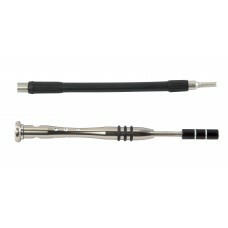 The set include a handle that extends from 3-3/4" to 5-1/2" and a 5-3/4" flexible extension shaft to get you into those hard to reach places. The set comes organized with individual bit markings and a convenient carry/storage case. 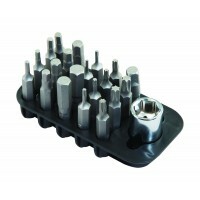 All bits are precision formed for maximum fastener engagement. 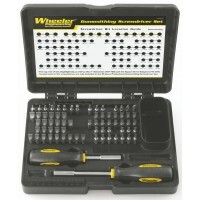 The Wheeler Engineering Basic 72 Piece Professional Gunsmithing Screwdriver Set contains 54 hollow-g..
Screwdrivers are the most important and most-used gunsmithing tools. 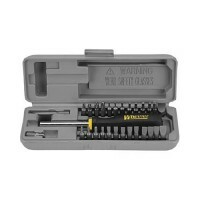 Wheeler's Deluxe 89 Piece ..
Wheeler Engineering Space Saver Gunsmithing Screwdriver Set is less than half the size of comparable.. 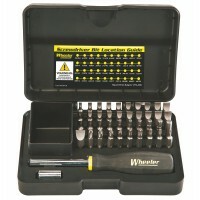 The Wheeler Engineering 43 Piece Professional Gunsmithing Screwdriver Set features 43 of the most ne.. 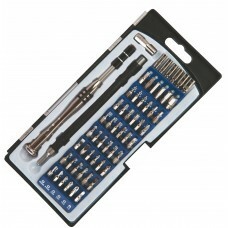 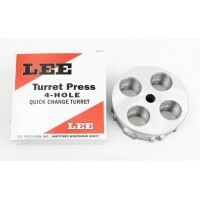 The well thought-out bit selection will put an end to burred, buggered, busted up screw slots on an..